Oct. 7, 2017, marked the 50th anniversary of the Asaba Massacre, and the people of Asaba came out in force to commemorate this dark chapter in Nigerian history. We were honored to be part of it. Our latest journey to Nigeria started in Lagos, with a book reading at Quintessence, a wonderful bookstore and art gallery in Ikoyi. Historian and writer Ed Keazor arranged the event, and he was a terrific MC and interlocutor. I had got to know Ed through social media, and was delighted to finally meet him in person. It was a lively evening – we read from the book, and then fielded questions from Ed and around 30 people who attended. From there, we went to Asaba, where several days of commemoration were underway. First there was a gathering of people from all five quarters of Asaba, who met to dance and offer traditional burial rites. I was pleased to see so many familiar faces, and to receive welcomes and greetings from old friends like Renny Nwosa, Richie Omo, and Martina Osaji. At the Palace with Wole Soyinka; the Iyase of Asaba (to Soyinka’s right), and Alban Ofili-Okonkwo, Chair of the Memorial Organizing Committee (to my right). The next day we made a courtesy visit to the Palace of the Asagba of Asaba, where we were thrilled to meet the great Nobel Laureate Wole Soyinka, who had come to participate in the weekend’s events. He keynoted the Memorial Colloquium on Friday afternoon, where Fraser and I also spoke. The next afternoon (Oct. 7) was highlighted by more brief remarks from Soyinka, who reminded us that “there is no statute of limitation on memory.” The Governor of Delta state, and many more dignitaries spoke on the importance of recognition and acknowledgment of the wrong done to Asaba. We were asked to say a few words about our book, and this was followed by the official presentation of the book to the Asaba community – a great honor! That evening, we thought about the journey we’d been on for more than eight years – we couldn’t remember how often we’ve been to Nigeria, but agreed it must be close to 10 times. It has been quite an adventure, and one we couldn’t have done without the friendship and support of so many people. We’re hoping this trip won’t be our last! Book Reading/Presentation in Lagos: Please Join Us! To anyone in Lagos: We wanted to let you know that we will be doing a book reading and presentation of our book, The Asaba Massacre: Trauma Memory and Nigerian Civil War, on Oct. 4 at 6 p.m.. Location: Quintessence Bookstore and Gallery, Plot 13, Block 44 Parkview Estate, off Geerard Road, Ikoyi, Lagos. We will be in conversation with historian Ed Keazor, take questions from the audience and sign copies of the book, which shall be available for sale (at a discounted rate) at the event. Looking forward to seeing everyone! 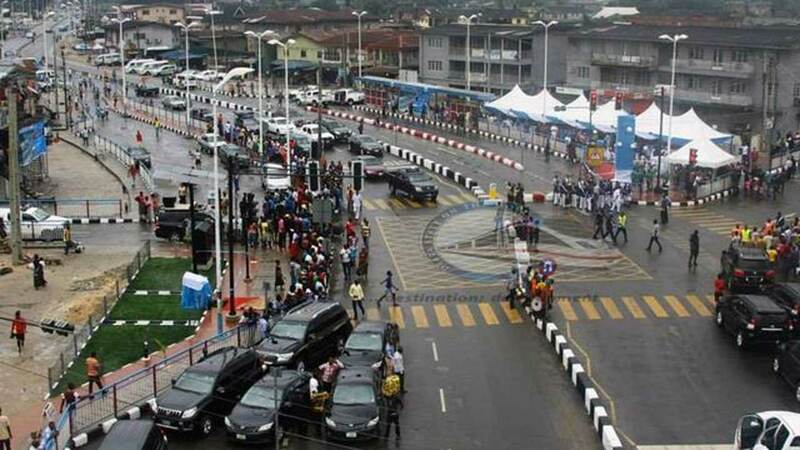 The people of Asaba and environs have concluded plans to celebrate a major event in the history of the town, and Nigeria which occurred 50 years ago. They are organized under the Asaba October 7 Memorial Group. Ofili-Okonkwo added that the programme would span four days with the theme “Remembrance & Forgiveness,” adding that all the activities designed to commemorate this year’s landmark anniversary would revolve around the theme. He stated that the group will embark on sensitisation and citizen engagement programmes in order to achieve healing and closure which will “signal the collective resolve of Asaba indigenes to leave behind the memories of their tragic past and walk resolutely into a more promising future. Commemorative activities begin October 5 with a one-minute silence for the Asaba martyrs at noon, followed by a media briefing, canon shots heralding traditional burial rites for the dead (known in Asaba culture as egwu ota). Also planned are service of songs and candle light procession to Ogbeosawa grave site for tributes to the dead, interdenominational service, exhibition of artefacts, documentary and presentation of awards to honourees. A major highlight of the anniversary, he further disclosed, would be the presentation of a book on the carnage entitled “The Asaba Massacre — Trauma, Memories, and the Nigerian Civil War” authored by renowned Anthropologist Prof. S. Elizabeth Bird and co-authored by distinguished historian Prof. Fraser M. Ottanelli both of the University of South Florida. The book presentation will, however, be preceded by a colloquium on the Asaba Massacre, with the theme: “In Pursuit of Rebirth”. Eminent scholars, statesmen, renowned industrialists and other distinguished citizens of the world are expected to attend the activities marking this year’s anniversary. The activities will be rounded off on Sunday, October 8 with thanksgiving service in churches all over the world. The book may also be ordered from Amazon, but the discount is not applied for that. We welcome comments and if anyone would like to post a review at Amazon, that would be welcome too! Although we have not been very active on our blog for a while, that doesn’t mean we haven’t been working! In fact, we’re excited to announce that our book is about to be published. The book, The Asaba Massacre: Trauma, Memory, and the Nigerian Civil War, will be published by Cambridge University Press on Aug. 31, 2017, just a few weeks before the 50th anniversary of the massacre at Oge-Osowa, Asaba. We’ll be providing more information about events surrounding the anniversary. Meanwhile, the book is available for pre-order at C.U.P’s website, Amazon, and Barnes and Noble online. 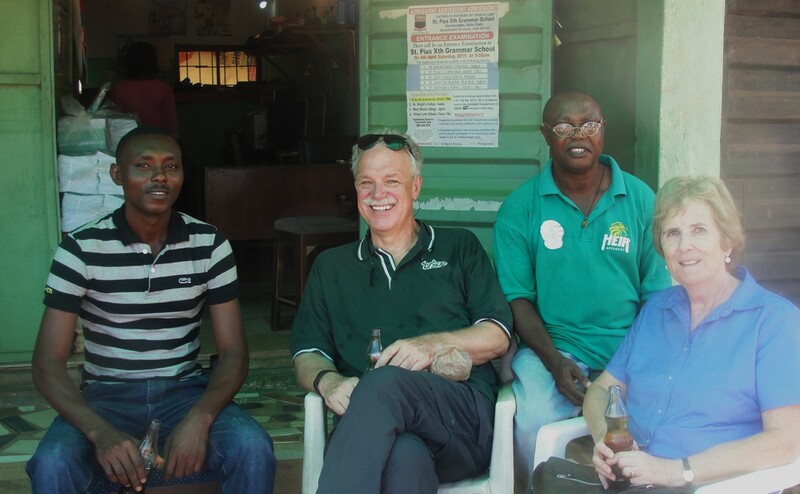 From the beginning, a key dimension of our research has been maintaining an active relationship with the community of Asaba, and this visit was no exception. 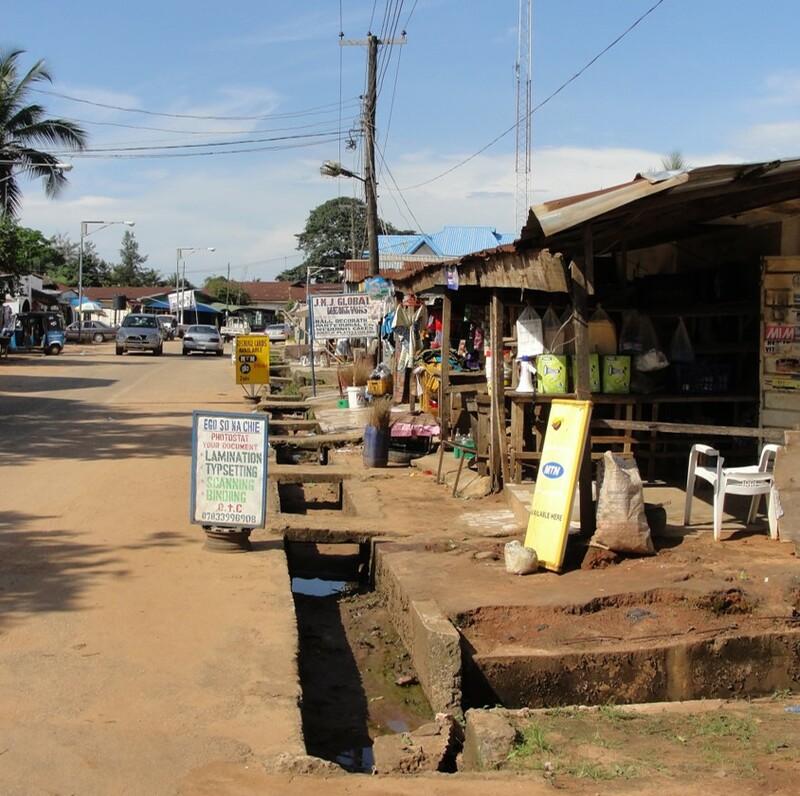 While we have certainly spent a lot of time collecting information and interviewing, we have also been able to spend time talking informally and exploring Asaba a little. 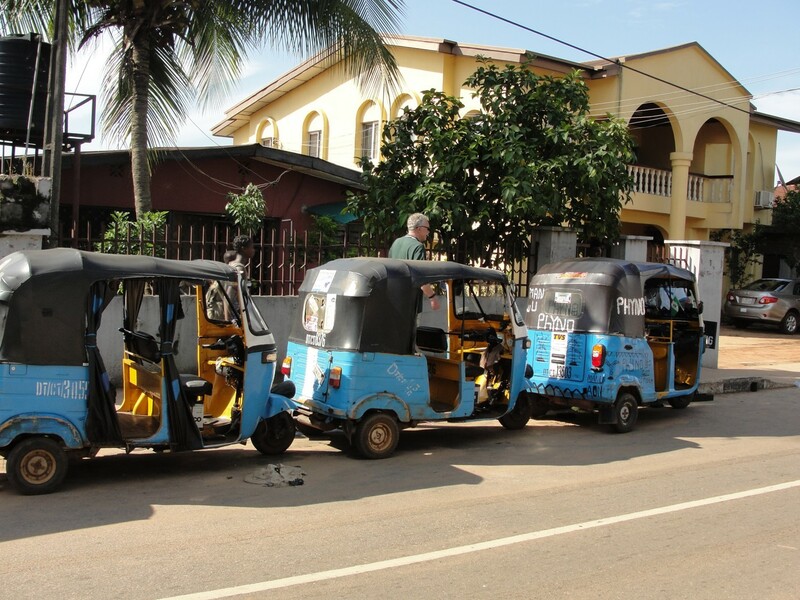 We took our first ride in an Asaba keke: the small, three-wheeled cabs powered by motor cycle engines that are everywhere. They have mostly replaced the motor cyles (okada) that used to pick up passengers and crowd the roads – they were banned not so long ago. Although dodging the kekes can still be a little hair-raising, the streets are definitely safer now. We have seen Patrick several times since, and this time he invited to sit down, meet neighbors, and have cold drink with him. It’s clear that our work is valued by many here, which adds a particularly rewarding dimension to the whole project.